On 10g RAC, I like to use "dbca" to create services. Today, my friend asked me "How can i create new service on 11g RAC?" I think why she asked me like that? So, I tested "dbca" on 11g ...I got it why she asked me! because 11g service management is removed from dbca. Actually we can create service during instance creation by dbca. when using EM or srvctl ... after add service, we should update tnsnames by manual. 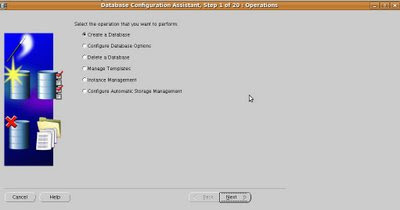 on 11g PL/SQL DBMS_SERVICE Package support create service on RAC. 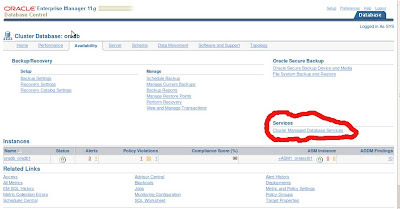 By the way, Oracle recommends to use Oracle Enterprise Manager to create services for Oracle RAC environments. Since Services are now integrated with the Database Resource Manager, I think, it makes sense to have its own area of configuration. We now can set the connection LB goal, assign consumer group, and so on to a Service. Yes, It make sense with the Database Resource Manager and Service. But I just hope to use some tools on 11g to add new service and update tnsnames as well.